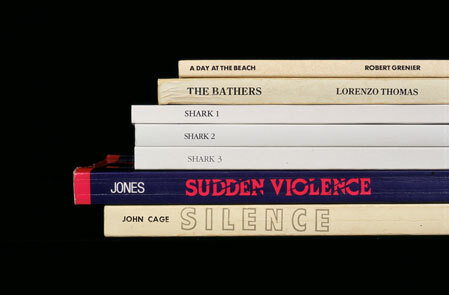 …culling through a collection of books, pulling particular titles, and eventually grouping the books into clusters so that the titles can be read in sequence, from top to bottom. 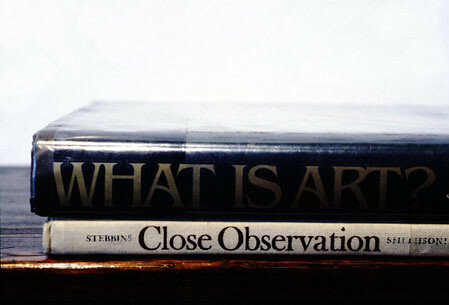 The final results are shown either as photographs of the book clusters or as the actual stacks themselves, shown on the shelves of the library they were drawn from. 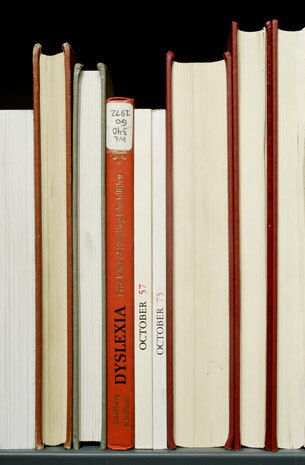 Readers can explore Katchadourian’s Sorted Book Project. As we browse with newly-found enthusiasm, we might recall that it was on this date in 1593 that an arrest warrant was issued for Christopher Marlowe, after his fellow playwright– and former roommate– Thomas Kyd accused him of blasphemy. Kyd had been arrested three days earlier, and tortured on suspicion that he’d committed treason. Confronted with heretical documents found in his room, Kyd alleged that they belonged to Marlowe, with whom he had earlier shared the room. The warrant was sworn, and Marlowe was arrested on 20th. He was released on bail, but killed in a bar brawl on the 30th. 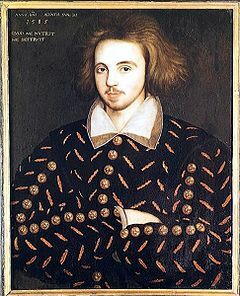 Marlowe, a contemporary and rival of Shakespeare, wrote terrifically successful plays (e.g., Tamburlaine, The Jew of Malta, and The Tragical History of Doctor Faustus) and popular poetry (e.g., The Passionate Shepherd to His Love, and with George Chapman, Hero and Leander). Kyd is remembered for a single work, Spanish Tragedie, which some scholars believe was an inspiration for Hamlet. Kyd died, penniless, in 1593.